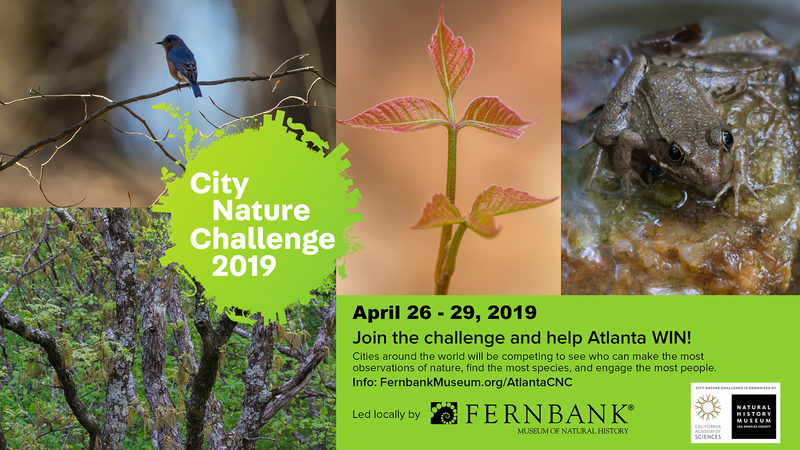 Candler Park Conservancy is excited to participate as a partner organization in the 2019 Atlanta City Nature Challenge, led locally by the Fernbank Museum of Natural History. The City Nature Challenge is a world-wide event in which cities including Atlanta compete to tally the most nature observations! To participate with Candler Park Conservancy in this event, please download the iNaturalist app (http://www.inaturalist.org/) from the app store, get outside into a great green space like Candler Park during April 26-29, and use your smart phone to take a picture of any wildlife (plants, animals, fungi, and microorganisms) that you may find and upload your pictures through the iNaturalist app! For more information on this fun event, check out the official Atlanta City Nature Challenge Facebook event page at https://www.facebook.com/events/353208401939105/. 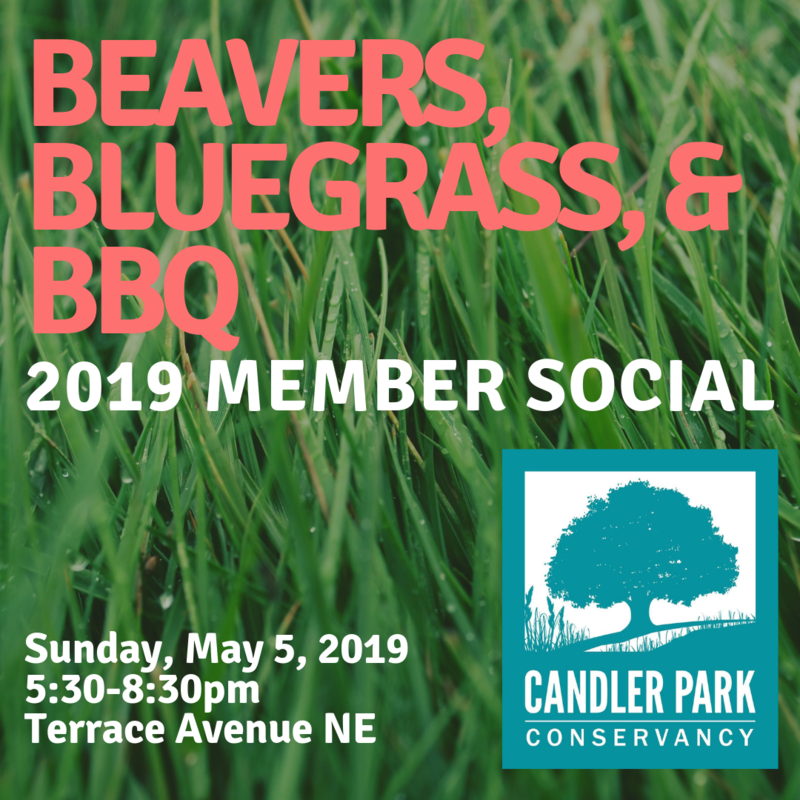 Please join us on the evening of May 5, 2019 for Candler Park Conservancy's Membership Social! We’ll gather on Terrace Avenue NE for this casual, family-friendly street party to have some fun and celebrate another successful year of progress for Candler Park with the help of our growing community of Members! Please check back here for additional details nearer to the event. We encourage you to RSVP through our website so we can estimate attendance. This year's event will also include a raffle featuring a range of great items and experiences donated by local businesses to support Candler Park! You can check out the raffle details and buy tickets in advance here. Bi-monthly meeting of Candler Park Conservancy Board at the Rush Center, 1530 DeKalb Avenue NE. Interested members of our community are welcome to attend as guests! 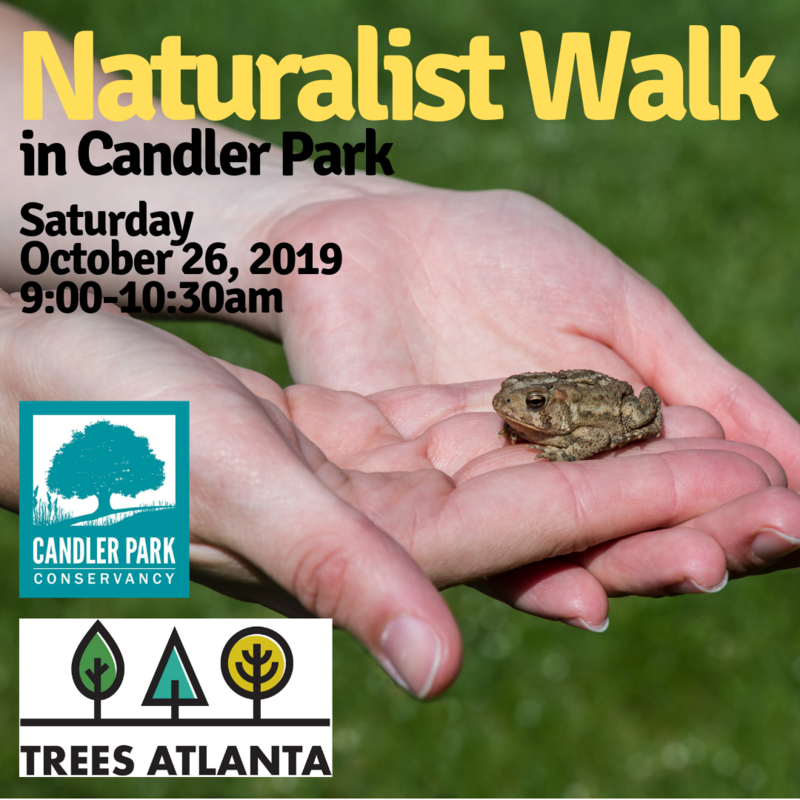 Please join Trees Atlanta and Candler Park Conservancy for a fun event in Candler Park in which naturalist Zachary Lim from the education-focused Trees Atlanta Treehouse will lead participants of all ages in a brief talk and walk in Candler Park! Nature-lovers, families, friends, neighbors, and other folks of all ages and experience levels are welcome. Please check in with us in the picnic pavilions next to the main Candler Park lot at 1500 McLendon Ave NE at 4:00pm on the day of the event. We look forward to seeing you there! We encourage you to register in advance so that we have a sense of headcount. Please note that all kids should be accompanied by an adult. Candler Park Conservancy will join in the fun for Rival Entertainment's Candler Park Music & Food Fest 2019! We look forward to seeing old friends and meeting new ones in Candler Park on May 31-June 1. Be sure to drop by and pay us a visit! "Biking down DeKalb Avenue during Atlanta Streets Alive - Eastside this year was eye-opening for a lot of people. Over and over, participants shared how the experience sparked their realization of what a useful route this would be if it were safe and accessible for walking and biking. In its first year of connecting neighborhoods along Marietta Street and Howell Mill Road, Atlanta Streets Alive - Westside had a similar impact. Residents thanked us for allowing them to have a peaceful moment next to the Water Works Reservoir rather than being stuck in their cars, feeling stressed and anxious about traffic. Atlanta’s cultural shift from car-centric to people-powered is starting to reflect in its street design. During the 2018 Westside street activation, we held a ribbon cutting with the City of Atlanta for the Marietta Street improvements, including bike lanes on the stretch north of Ivan Allen Jr. Boulevard. Meanwhile, for DeKalb Avenue, plans to extend the multi-use trail that currently ends at Rocky Ford Road and remove the reversible lane are advancing. The type of safe access for people outside of cars that Atlanta Streets Alive allowed us all to experience and envision on this corridor is taking shape. You probably noticed these two routes (and all our 2018 routes) met in the middle, at Five Points -- intentionally connecting neighborhoods and business districts to the heart of Atlanta. But, have you ever tried to get across town, from East Lake to the West Midtown district? That’s why, on Sunday, June 9, we’ll combine our Eastside and Westside routes into one slightly audacious and delightfully cohesive Atlanta Streets Alive - Cross-City. But, wait. There’s even more in store for our June activation! 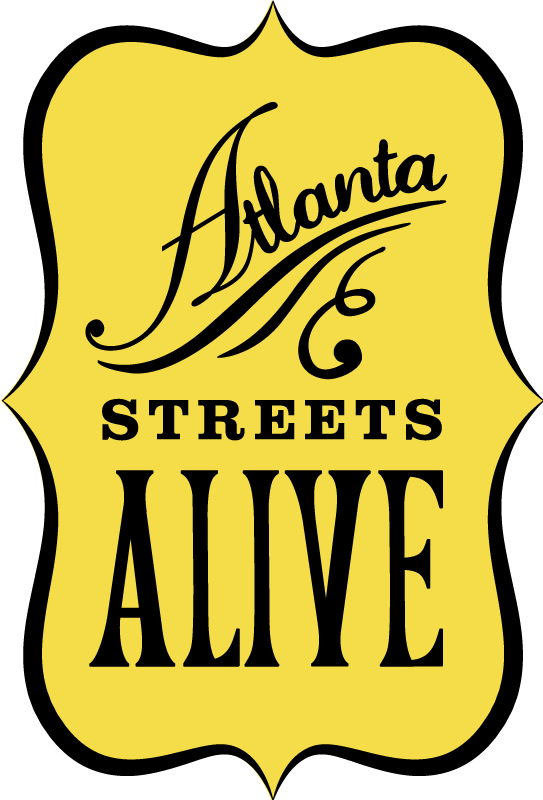 Not to miss out on the fun and connectivity, the City of Decatur will launch its first open streets by adding West Howard Avenue to the mix, bringing the newest addition to the Atlanta Streets Alive lineup to almost 10 miles. You’ll be able to roll or walk all the way from Underwood Hills to Decatur! We’re going to need more time for this one, so we’re extending it to six hours of open streets, from 2:00 pm to 8:00 pm." 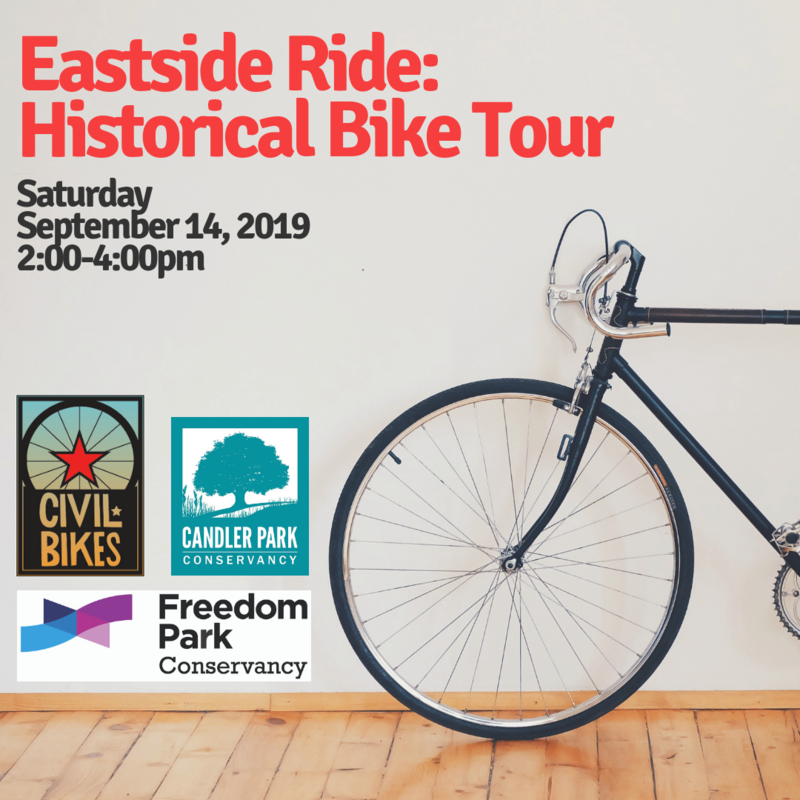 Please join Candler Park Conservancy and Freedom Park Conservancy for this fun and interesting bike event led by our friends from Civil Bikes! We'll take a leisurely, all-ages bike ride together through these two beautiful eastside parks. Along the way, we'll stop to learn a bit about the fascinating histories of Candler Park and Freedom Park and the neighborhoods that surround them! We'll meet at 2:00pm next to the main Candler Park lot at 1500 McLendon Ave NE. We look forward to seeing you there! We encourage you to register in advance so that we have a sense of headcount. Please note that all kids should be accompanied by an adult. Please bring water and wear helmets, close-toed shoes, comfortable clothes and other equipment/apparel appropriate for safe and enjoyable participation in a bike ride.